We’ve been talking about our favorite urban fantasy series here at VBC recently. We listed 10 Urban Fantasy Series You Need to Read and 10 “Rural Fantasy” Series with small-town settings. But we noticed that most of those series debuted in 2011 or earlier and thought some of our readers might be looking for something newer. Here are some of our favorite “new” UF series, which we’re defining as ones that debuted in 2015 or later and have 2 or more books released. Share your faves in the comments. VBC’s Amy says: Using her trusty deck of tarot cards, Sara Wilde hunts magical artifacts. That is, for the right price. 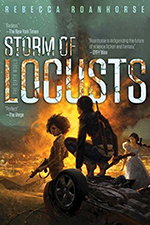 Each book is pretty much a non-stop ride from start to finish as Sara often has quite the penchant for getting into crazy predicaments. I loved watching Sara come into her powers throughout the series, promising great things for a new story arc coming this fall. Check out her review of book 1, Getting Wilde. Archaeology student turned international antiquities thief Owl uses what she learned in school to unearth artifacts for collectors. She’s on the run from the International Archaeological Association, who try to cover up evidence of the supernatural, and from vampires, which Charish puts an interesting twist on. Check out my review of Owl and the Japanese Circus. We even have a newly completed series for the bingers out there. The Black Blade series is a YA set in a town dubbed “the most magical place in America,” which advertises their magical creatures to attract tourists. Behind the scenes, the town’s controlled by magical mafia families. Read my review of Cold Burn of Magic. Check out my review of The Immortals. Set in the world of Jane Yellowrock, the Soulwood series follows country girl Nell Ingram. She grew up in a cult and is just starting to fit in to the world and learn about her magic. Nell joins a group of misfit witches and weres solving supernatural crimes for Psy-LED. 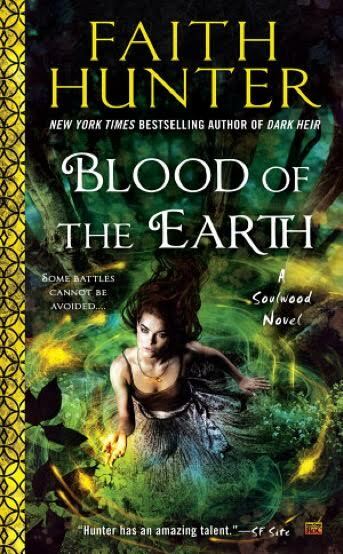 Check out my review of Blood of the Earth. Paranormal police procedurals are my catnip. This series is a perfect example—I called it Criminal Minds with vampires. It’s also a completed trilogy if you’re into that kind of thing. 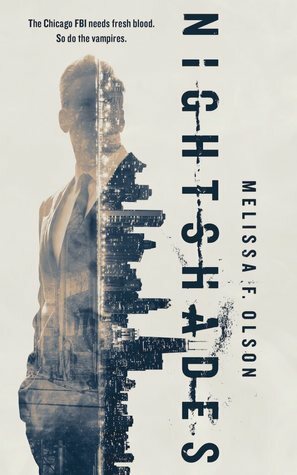 Read my review of Nightshades. Admittedly, we may be a little bit biased about this one. Chelsea’s Soul Charmer series features a unique and fascinating magic system in which people can borrow souls to keep their own pure while they sin. And of course there’s a swoony hero. All the best UF series have one of those! Lizzie Grace is something new from Keri Arthur: a series about witches. Though there’s still a broody werewolf love interest, so maybe it’s not entirely new. Lizzie and her BFF open up a psychic café in a small town in an attempt to stay under the radar, but soon become involved in all kinds of paranormal business. I also loved Arthur’s recent Outcast series which is post-apocalyptic, so not technically UF. Check out my review of Blood Kissed. Alice Worth is a Mage Private Investigator with a ghost sidekick and some really cool magic. She can conjure a cold fire whip! There are vampires and werewolves and all our favorite old school UF elements. I wish more people were talking about this series. Edwards has released a lot of urban fantasy in the last few years. I loved her Black Dog series, which has spawned several spinoffs. It came out a few months too early to qualify for this list, though. I’ve recently started her Beginner’s Guide to Necromancy series and Chelsea recommends the Foundling series. 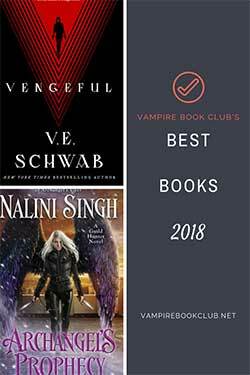 Did your favorite new urban fantasy series make the list? Tell us in the comments! Was recently introduced to Clara Coulson’s City of Crows UF series and am completely loving it! Main character Cal Kinsey is a ‘yep, I’m a hero’ who constantly messes up (and admits it), with a strike team of cool folks and a town that has gone to the supernatural. Very interesting. I love a spooky small town story! Looking that one up now. Wholeheartedly agree on Alice Worth. Can’t wait for the next one. I’d add KF Breene’s Fire & Ice and Magical Mayhem trilogies. Really one series, all key characters in both. Reagan Somerset is a great, new (and crazy) heroine. I haven’t read KF Breene but I have a friend who loves those. I’ve seen people talk about KF Breene’s books, too, but haven’t read them. Adding to the TBR now! Thanks for the rec, Court! Oh yeah! Ordinary Magic would have been a good one for this list. I never read Faith Hunter’s other series, but I am loving the Soulwood series. I have also fallen in love with Keri Arthur’s Lizzie Grace series and I’ve been enjoying Devon Monk’s Ordinary Magic series. A couple of others to add to the list – the Diamond City Magic series by Diana Pharaoh Francis, and The Lazy Girl’s Guide to Magic series by Helen Harper (starting with Slouch Witch). I keep seeing Slouch Witch in my Amazon recs. Definitely going to try that one when I get the chance. I am so thrilled to find Immortal Vegas by Jenn Stark in this list. On any list! Those books are so cool, do different. Sarah Wilde is an unusual protagonist and the spring characters, based off the tarot is exceptionally unusual in their roles and their places in the storyline. It’s an addicting series that gets too little attention. I’m thrilled to see it’s getting attention here. Also, JenM, read Jane Yellowrock by Faith Hunter. It’s a wonderful series by a phenomenal author and there’s tie ins to it in Soulwood. Gotta check out your group! Immortal Vegas was actually the first thing I thought of when I sat down to make the list. “The Bedlam’s Bard” series by Rosemary Edgehill and Mercedes Lackey. Hero elves with fast cars and motorcycles–Yay. Charles de Lint’s urban fairy books are beautifully written with engaging characters and a dreamlike overlayment. Try “the Onion Girl”, “The Blue Girl” or “The Ivory and the horn” story collection. Those sound good, though don’t think they qualify as new. Anything Hailey Edwards is right! I’ve read all of her series multiple times and have enjoyed them immensely! A Beginner’s Guide to Necromancy is my favorite. Hailey posted the motion banner for the latest in that series yesterday. So cool! 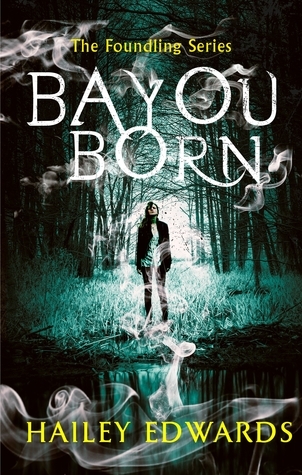 I need to catch up on Beginner’s Guide and I really want to read Bayou Born. But I’ve enjoyed everything I’ve read so far.